At least, that's what the weather forecast says. It's been a bit windy here the past couple of days: the wind has been whistling through the telephone lines, and the leylandii trees visible when I turn away from the computer desk have been rocking and rolling. This was todays official forecast, yesterday evening. Since then the forecast gust speed has been increased. Today we are being vigilant for even greater wind, with gusts up to 140kmh forecast. We are in an orange vigilance area, but the red zone starts only 10km away. Last night at 10.00pm it was very quiet - no wind, a little rain, but some very ominous clouds. At midnight there was still no sign of anything out of the ordinary, but by 3.00am the wires were whistling again. At 5.00 Susan and I got up and did a patrol of the house, which was just as well because one of our barn doors had blown open. By that stage wind had joined the rain, and sticking one's head out of the door was rewarded with the sound of someone's garden shed in trouble, and the occasional roofing tile hitting the ground. Once it all quietens down I will have a wander around town to see what sort of damage the wind has caused. Growing up in an area where most houses were wooden with tin roofs, I will be interested to see what high winds do to stone houses with tile or slate roofs. This wall, however, was not the victim of the wind, but either someone cut the corner just a little too fine, or it was just feeling its age and fell down of its own accord. These wall are often made like a sandwich, with the outsides of the walls being mortared in place, then the gap between them filled with rubble and earth (our garage wall was the same). Over time water gets into the wall and washes out the filling, and that's when the wall collapses. It has been down for about 6 months, and apart from the witch's hats, nothing has happened to it since. Anyhow, tin hats on, and hope for the best! 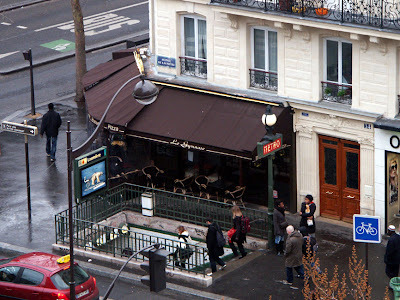 When we were in Paris at the end of last year we asked the receptionist at our hotel if he knew of anywhere in the area we could get a meal - inexpensive and close by. He suggested a cafe near the metro called le Gymnase, a suggestion we followed and are glad to have done so. 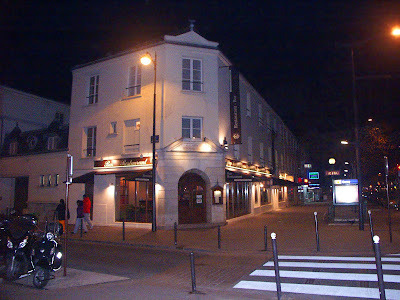 That evening we had a great pot au feu for €8.50 each, which for a evening meal in Paris is really good value. There are thousands of places like this in Paris: quiet, unpretentious, used by locals as a meeting place, serving good food at prices that most people can afford. Don't all head to le Gymnase - next time you're in Paris get out there and find your own little bargain eatery! It has been a while since bathrooms were last mentioned on this blog. This is mainly because plumbing brings out the more colourful aspect of my Anglo Saxon linguistic skills, and these days you can't have bathrooms without plumbing. We think we have reached our final decision about bathrooms and plumbing and associated excitements. Monseiur Bertucelli (yup, no less than the Maire himself, but wearing his other hat) came last week to listen to our plans, and then sent us a devis for plumbing we feel we can live with. We have decided that the old bathroom, the floor of which I so skilfully replaced last year with the intention of it becoming a shower room, will instead be an enlarged landing for the staircase. This means we will not have a wall at the top of the stairs blocking all the light. Over the last couple of weeks we seem to have spent an inordinate amount of time looking at bathroom furniture and fittings, both online and in various shops. On Wednesday it was the turn of bathroom showrooms and the like in the Poitiers area, Tours having been visited two weeks ago. Recently I've become a fan of French cook and food writer Sonia Ezgulian. Her little book 'Petits Ricochets de Cuisine' focuses on ideas for getting the most out of a dish or set of ingredients, by getting more than one meal from every cooking session. She deliberately cooks with leftovers in mind. This pressed beef was created with the leftovers from a daube. Sonia suggests preparing boeuf bourguignon, being particularly generous with the red wine and stock. Then, with the leftovers, you can make un pressé de boeuf, persillade aux anchois. Shred the cooked meat, then mix with a ladleful of cooking liquor. Don't strain out the pieces of mushrooms and carrot because they give flavour and colour to the terrine. Heat up some fortified wine like muscat-de-rivesaltes or banyuls and dissolve some softened gelatine in it. Add it to the meat mixture. Make a hash of parsley, garlic and anchovies in olive oil. 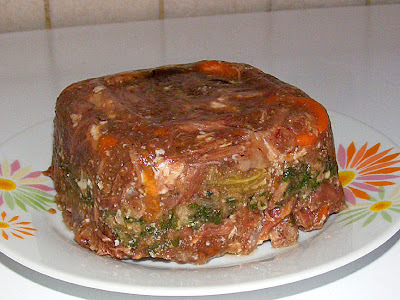 Line a terrine with clingfilm and put in half the beef mixture, followed by the persillade, topped off with the rest of the beef. Press it lightly and put in the refrigerator for a few hours to set. Last year our grape vine produced a lot of grapes, most of which were out of reach, 10 metres up a Catalpa tree. This year we have determined that the grapes should come to us rather than the birds, and to this end we have built a grape trellis. 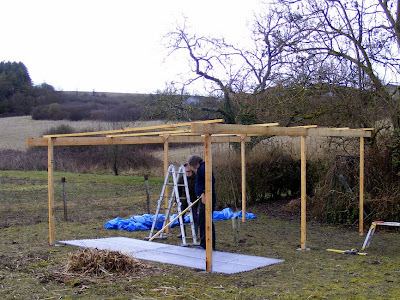 We started the process quite a long time ago (those long dark evenings of winter, don't you know), and soon I had what I thought was a workable plan: the idea being to have a grape trellis that also has a section of roofing from which we can catch water. I drew up a shopping list and we hired a truck from SuperU with which to collect the stuff. That worked out more expensive (€44) than having it delivered (€19), but the advantage was that we didn't have to try explain where it was we wanted the stuff delivered to. It also worked to our advantage as the track up to the jardin was waterlogged where the snow was melting, so we could park on the road and take our time unloading and carrying everything the 100 metres or so. 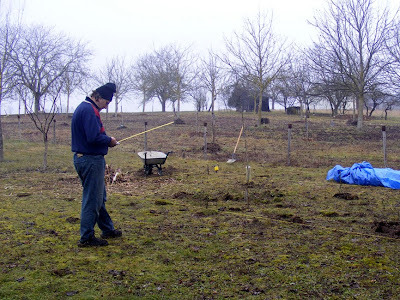 Last Wednesday Alex met us down at the garden, and we started by measuring where the posts would go. This process was long and involved usage of calculators, bits of string, and setsquares. After a few false starts we dug some holes, mixed some cement and put the pied poteau (metal post saddles) in place. Using a solar powered calculator in winter. No wonder it took us ages to get things square! The saddles were left for almost a week, then yesterday morning we all rolled up - and just after lunchtime: voila! an almost complete grape vine trellis. It still wobbles a bit - we need to brace the corners, but all the basics (with the exception of the roof) are in place. Apart from Alex dropping a 50mmx150mm 4 metres long (and very heavy) beam on his own head, it was quite painless. I was really surprised that we had managed to remember to take all the tools we were going to need, the generator fired up and worked faultlessly (even though it hadn't been started since September 2007) and even though it rained, it wasn't cold (in fact it was mild and even warm at times). Later this week we will "pop down there and just finish it off" then I can fit up the plumbing for the water tanks. This should reduce the amount of water carrying we have to do to water the potager this summer, something that Susan and I will both be most grateful for. This is a translation of the text on the table mats used for the Repas Tout Safran. Preuilly-sur-Claise, saffron fair the 3rd Saturday of February, sale of saffron strands, producers stalls, demonstrations, tastings, Tourangelle Gastronomy. Specialities and saffron menus at our artisans': bakers, delicatessens, butchers and restaurateurs. The first Saturday of July sale of bulbs. The flowers (one to three per bulb) have pale to deep violet corollas, veined with red. Inside are three bright orange stamins on a yellowish style. They surround a scarlet stigma of around three centimetres, branched into three orange red strands which thicken and curl towards the tips. It's this part, once dried, that constitutes the spice. Planted from mid-July to mid-September, each bulb only flowers once. It is then replaced by one or several bulbs which develop on the upper part. The top dries up, disappearing at the end of the first year, making way for the new bulbs or cloves. The pale violet flower lasts 48 hours. Harvesting must be done by hand, after a dew, so that the flowers are moist. The flower is then removed. The three scarlet stigmas must be delicately separated from the flower by pinching with a fingernail, just where they join the style. Then the stigmas are gathered together, and dried to retain the full flavour. 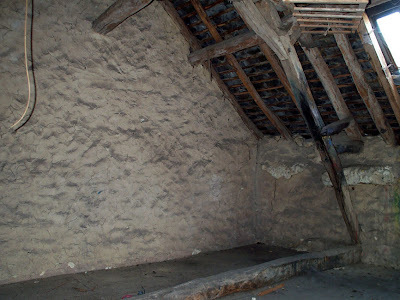 Drying methods world wide are different (in the sun in Iran; in an oven or on a silk screen over a charcoal braisier in other places) but the result is the same – the stigmas lose four fifths of their volume. 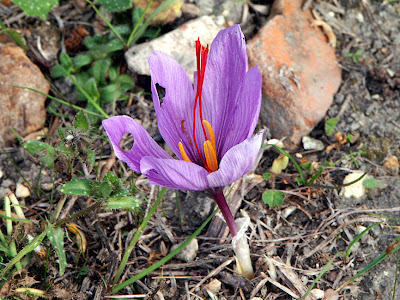 In the region of 120 000 to 150 000 flowers are needed to obtain one kilo of dried stigmas, which gives you one kilo of saffron. This represents between 370 and 470 hours of work. So it was that Paul Mériguet, saffron and truffle enthusiast, who, on the friendly advice of Monsieur and Madame Monnier and Gisèle and Jacques Manreza, started growing saffron in his garden. With the village fête committee in 1999, he resurrected two fairs: one on the 3rd Saturday of February (the closest date to Saint Luc's Day, which is no longer celebrated today) for the sale of stigmas, and the second, the first Saturday in July for the sale of bulbs. Both the navarin of lamb and the crème brûlée were outstanding. Saffron combines particularly well with orange zest and the textures and tastes were beautifully balanced in both dishes. I think this is Jean-Michel's best feast yet. The table mats, although just A3 sheets of printed paper, were very attractive and informative. The photographs were taken by our friend Ed Buziak, who lives near Preuilly, and the printing was funded by regional and local government. I will translate the text and post it another day, as it is a most interesting read. As we were walking home we ran into Stéphane and Valérie, so we went over to their place for a tisane and a chat. They live in the street behind us - in fact, their house is directly behind ours, but we don't have a common boundary. Their house is large and rambling, every room on a different level, and needs as much work as ours (maybe more - it's certainly more complicated than our house). Stéphane and Valérie are local people who, like many, went away to Paris once they left school, so they could continue their education and/or find work. In their case, they later went even further, and emigrated to Canada. Valérie had trained as a therapist working with very disabled people, teaching them physical co-ordination and spatial awareness, but she couldn't find work in this field in Montreal. When she first arrived she didn't speak English either. She got a job in a psychiatric hospital as an administrator, and learnt English over the next few years. 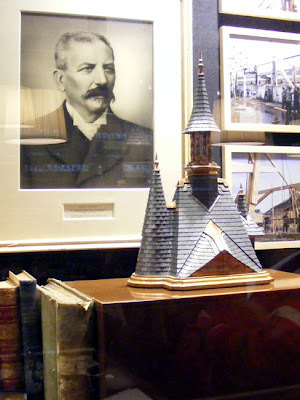 Stéphane trained as a cabinetmaker (ébéniste). He showed us a beautiful hall table he had made out of Australian bloodwood. Now they have chosen to come back to Preuilly, with their two young sons. 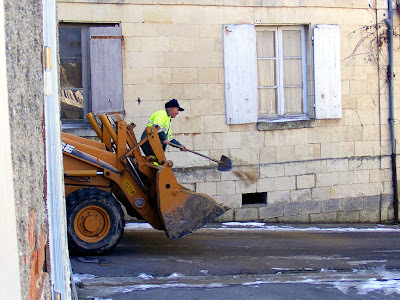 Neither is working full time at their profession, although they want to, but the jobs just aren't there in rural France. To help make ends meet Valérie has a second job at the state school. Like many French people of their age and background, they have a very clear idea of what they want their life to be and work very hard to ensure they can live in a place they feel connected to and in a house they love and are determined to save. They don't get to practice their English much, and feel they are starting to lose it. We pointed out that this wasn't much good for our French, and we need to practice even more than they do. As usual, a lively melange of the two languages was used throughout. I admire their (and Sylvie and Pierre-Yves' and Alex and Nicole's) focus and energy tremendously, but at a decade older, it does make me feel tired sometimes, and a bit worried about my own stamina and determination in similar circumstances. And the 4th for us yesterday. The day started with a little snow. I looked out the window when I got up and thought it looked like there was a faint sprinkling on what will become the lawn. 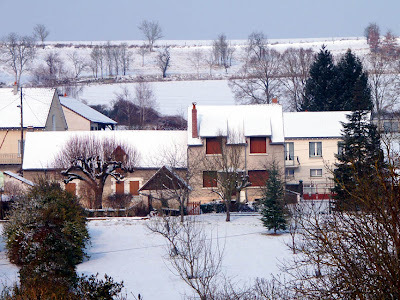 Our neighbour Edouard, who gets up much earlier than us, confirmed that it had snowed earlier. 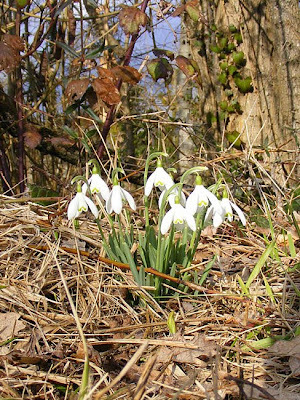 Some snowdrops Galanthus nivalis photographed on Friday in the woods near Humeau. These are doubtless garden escapees, as although snowdrops (called perce-neige in French - 'snow piercer') occur naturally in France, it is only in the mountains, and at less than 100m above sea level, we are definitely lowland. Simon had only just got up when Pierre-Yves knocked on the door. Could Simon come and help move a piano? I asked if they needed me too, but Pierre-Yves replied that he had les deux jeunes this weekend, so I was not needed. The two young men he referred to are Congolese refugees (known as sans papiers in French). They and their classmates, many with similar backgrounds, live during the week at the Château de Verneuil, getting an academic and vocational education, but whenever they can, these quiet and polite teenagers, who have no family in France, stay with local families. While Simon was off learning a new word (bosser = work, slog, slave), I went to the boulangerie. Once back at home, we grabbed a cup of coffee and went down to the Salles des Fêtes which was the venue for the Foire au Safran. We chatted with various people, sampled various saffron flavoured foods. We bought a pain d'épices from Josette Cerniaut. She makes them from organic rye and wheat flour, honey from her own hives and a mixture of spices, which for Preuilly's saffron fair, includes some local saffron. This particular one is also flavoured with preserved oranges. Because this is the third year in a row I have bought something from her, she very kindly gave me a little Christmas tree shaped pain d'épices too. From Les Délices du Berry we got a jar of pâte à tartiner made from chocolate, milk and cream, sugar and orange rind. We also bought a 'Black Lady' from Fréderic Guillemain. He is the producer from Betz-le-Château who supplies the nearby Michelin starred restaurant. 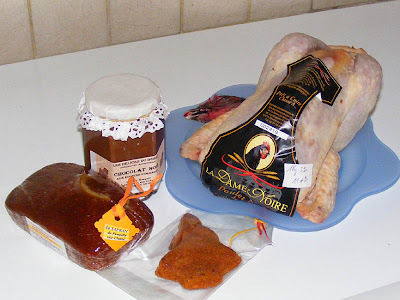 La Dame Noire chickens, also known as La Géline de Touraine, are a local breed, highly regarded for their flavour. 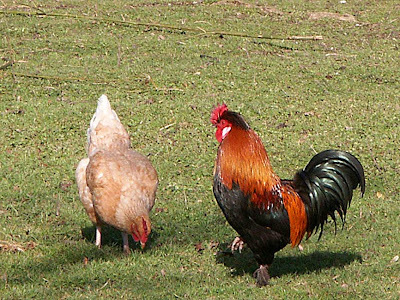 They have Label Rouge certification, which guarantees that the chicken is purebred, feed on whole wheat, raised in small flocks of no more than 1000 birds, housed in small traditional sheds and given an outdoor grassy and / or wooded run amounting to at least 4.2 m² per bird. At the time of slaughter the birds are a minimum of 120 days old. 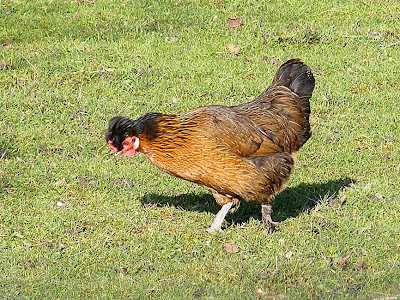 These traditional breeds grow more slowly, and never get as big as intensively farmed modern chickens, which are killed at about 80 days. 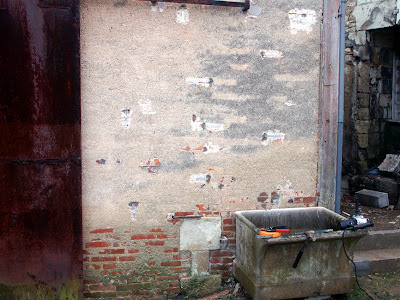 Avid readers of this blog (and there are some out there) may recall the problem we had with our garage wall. I think I have now fixed the problem, with the wall now being strapped to the wooden frame. I had made some progress on this a couple of weeks ago, but then it started raining, then snowing, and the next stage involved me standing on a ladder with electric tools - outside. This is not only not recommended in the handbooks, but even I can see it is slightly ill-advised (and more importantly, uncomfortable). We had a brief window of opportunity on Thursday, so I finished the job off. The wall now has 10 metal strips that are screwed to two bricks, then pass through the mortar joints before being screwed into the wooden frame. I have used instant cement to fill the holes in the mortar joints, and this should hold everything nicely in place. 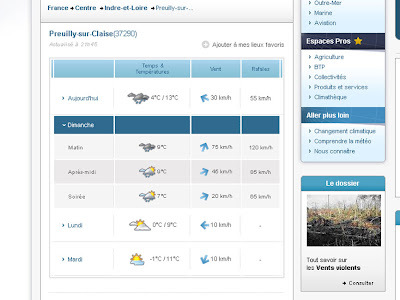 All we are waiting for now is a week of good weather (according to a passing neighbour spring starts in March, so maybe then) and we can get Alex to render the wall with Chaux Blanche. Today is Saffron Fair day in Preuilly, so we are hoping for a nice day. Susan went into to l'Image to book for Jean-Michel's special Saffron Fair dinner only to be told they aren't doing a special dinner this year, so we are booked for their special lunch instead. Last year both meals were fully booked, and we think that everyone found it too much pressure. However, on Thursday Christophe called around to say they had changed their minds, and did we want to change our booking to dinner - which we have done. 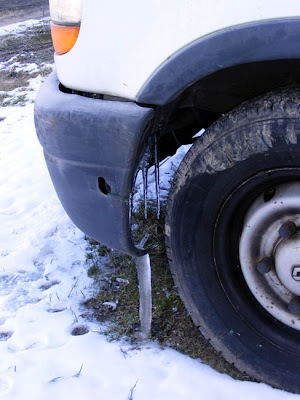 I mentioned about the icicles growing off the neighbour's van. Well - here they are. They have now disappeared, along with the remains of the snow. What I didn't mention the other day was our daffodils. When we were working on our back garden Susan planted about 70 bulbs, These have been coming up over the last couple of weeks, and we should have a good show in our proto-lawn. In the snow the daffodils were particularly brave. 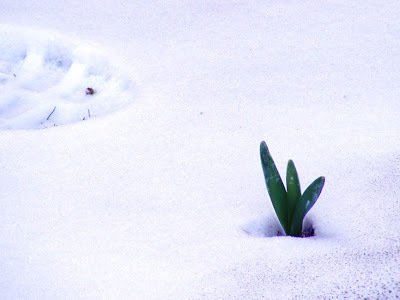 Now the snow has all gone we can see that we are in the running to have a lot of daffodils, hyacinths, crocuses and tulips, and a fair covering of lawn. Soon we will be buying topsoil and levelling the whole garden, giving us a Gazon Anglais and making us incredibly trendy. 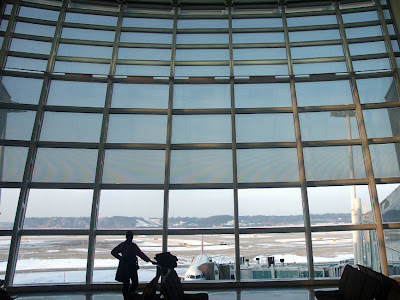 Back in April last year Susan wrote about her Korean stopover. 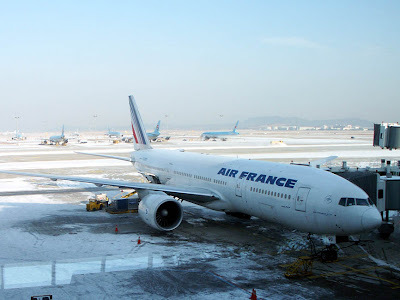 When we went back to Australia in December we had another stopover in Seoul, and once again (actually twice again) we stopped at Incheon Airport. 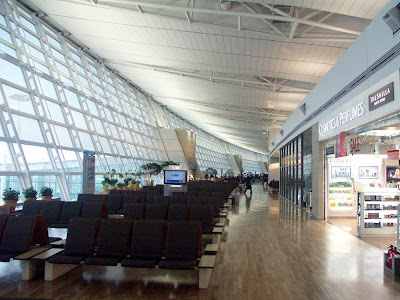 Yesterday, Incheon was voted the best airport in the world for the 5th year running. 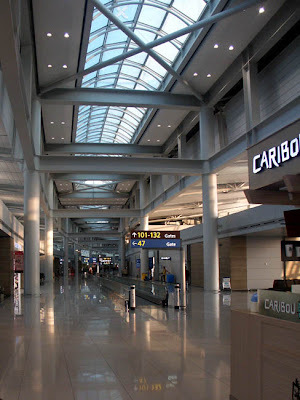 Having been to the airport numerous times it is easy to understand why this should be so - it is spacious, clean comfortable - and has some really interesting places. These include two galleries, an outpost of the Korean National Museum, and a number of "Experience Korea" shops, with traditional arts and music performances. On the upper deck there are chairs you can actually lie down in, and plenty of little corners where you can grab a quiet sit down. Look at all that space - and this is a busy airport! There are also two massage places, two free internet cafes, and dozens of eateries. Although Susan and I didn't eat at the airport this trip, I have done so in the past and been pleasantly surprised at the price and quality. All in all - if you have to fly from Europe to Australia, flying via Korea not only makes sense time and budget wise, but the stopover (either a short one at the airport, or a longer one in a hotel) is made all the better by an airport that manages to almost put some glamour and comfort back into flying. Yesterday was a lovely day: clear, bright and sunny, with very little wind. It was also very cold overnight (about -10°C). This mean that the snow has started to melt where the sun hits it for any length of time, a condition that precludes our street. 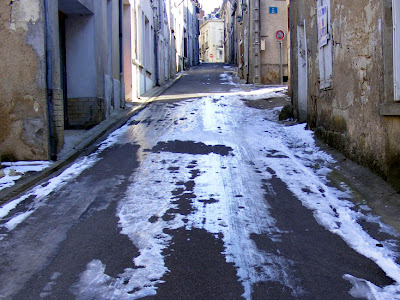 In a comment on this blog a couple of days ago, Bengt mentioned that their road was snowplowed last Thursday at 10.30, with couple of follow-up treatments (including gritting) the same morning. 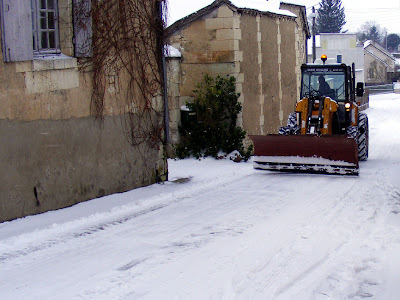 We must be in the poorer part of town: We had a tractor unsuccessfully try clear the street on Thursday afternoon - he went as far as he could up the hill, pushing snow in front of him, lost traction, and reversed down the hill again, leaving a wall of snow outside Sylvie and Pierre-Yves' house. This left a nice compact layer of snow which froze overnight into a sheet of ice which has remained in place. The ice was so slippery that the front wall of our house has been in danger of cars sliding into it - some very near misses over the 4 days. Then on Monday, the road was gritted - by hand. A man in a van, with a bag of salt he spread with a shovel on the worse parts of the ice. This had very little effect. The ice sheet on Monday. Yesterday, another attempt was made to grit our road, this time from the bucket of a tractor. 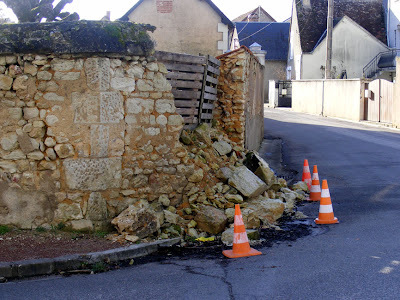 We hope this latest assault will do the trick, because even walking to the boulangerie has been fraught (fraught I tell you) the past couple of days. Like supermarkets all over the world, SuperU has its "own brand" produce. The really cheap stuff is called "bien vu", but they also have a higher quality line which just displays the "U" trademark. When we buy beer (which is rarely these days) we tend to buy either mass produced stuff (for people like visiting uncles) or Belgian beer (for people like Susan and I). For a while now, the Belgian beer we have been drinking is Leffe, which is brewed by the monks of the Abbaye de Leffe. It's a strong brew - 9°, so not to be taken lightly. 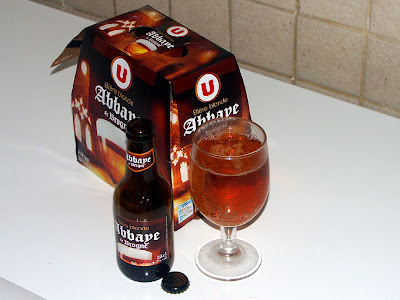 Imagine our surprise then, when we discovered that SuperU hav their own brand Abbaye Beer. It isn't as strong (only 6.2°) or as dark as Leffe, but it isn't bad at all. It is brewed at the Abbaye de Brogne in Belgium. 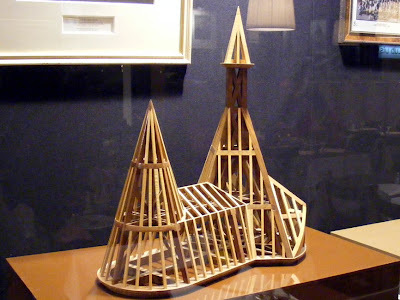 does the Abbaye de Brogne look like this. And now the weather: The snow has just about gone now and we eventually had our road salted - by hand, yesterday afternoon. Last Thursday the commune tried to scrape the snow off with a tractor, but he only got just past our courtyard before giving up, leaving a wall of snow 18 inches high across the road. 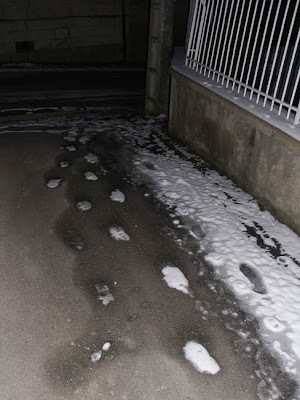 It was really cold last night, so all the melting snow has frozen into weird and wonderful shapes. 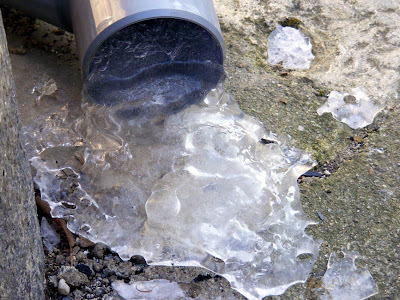 We have a mini lava-flow sculpture in ice at the foot of our drainpipes, and the van parked in our neighbour's driveway has amazing icicles hanging off its bumper. We are expecting warmer weather for the next couple of days, but I wouldn't be surprised if winter has a sting in its tail. What do you use to spread Nutella? Well, since our friend Liselle introduced us to the delights of Pylones in Paris, we use a green silicone Nutella spreader. As the staff at Pylones pointed out, it's great for butter (if it's soft), honey, jam and peanut butter. They didn't suggest Messmör, but that's because, in the nicest possible way, it comes under the heading of 'Weird Swedish Food' (scroll down to August 2007 in the link). ways on the edge of your jar or plate. You will notice that I don't pay the extra euro to buy real Nutella. I buy the supermarket own brand chocolate hazelnut spread, which as far as I can work out from the ingredients label, is exactly the same. 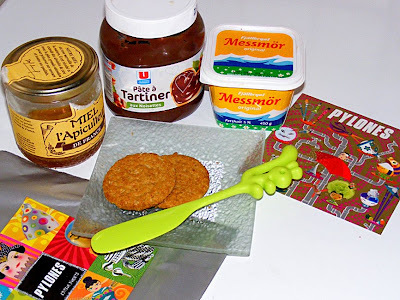 Chocolate hazelnut spread is so ubiquitous in France that not-Nutella is just called 'paste to spread' (which is what pâte à tartiner translates as literally). The digestive biscuits are there because that's what I spread the chocolate hazelnut spread and the messmör on. They are also nice spread on crêpes, but I am not very keen on bread or toast spread with either. Butter and honey (miel) is what goes on toast. 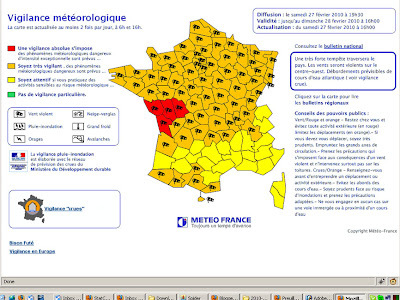 By now, anyone who reads a French blog should have realised that it's turned cold again. A couple of weeks ago it was uncommonly mild (temperatures in the mid teens) and we were looking forward to an early spring - somewhat misguidedly, it turns out. On Wednesday we had snow flurries, and Thursday morning it snowed properly in between the poubelle men (5.00am) and us getting out of bed (later). This snow has hung around, and the weather has turned seriously cold, causing an interesting effect. In our driveway, anywhere that I stood on the snow I compressed it - and that has turned into ice. In some places the snow has cleared (or been cleared), leaving just the icy footprints. These are now incredibly slippery, so anyone following in my footsteps: be warned! 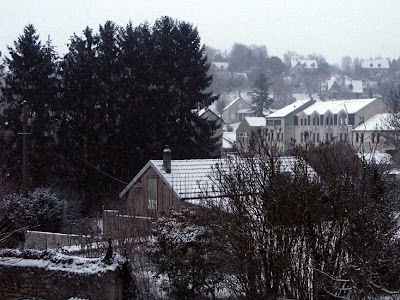 Friday we went shopping - the Thursday marché in town was somewhat curtailed by the snow, and our street hadn't been cleared (it still hasn't), but by Friday we needed to shop. On our return we waited in our very narrow street while someone unloaded their car, parked outside their front door. There was no way I could reverse back up the street - I had stopped on a big sheet of ice. In the end, Susan had to get out the car and ask him to move - because although I had the brakes full on our car was sliding slowly towards his! That means that for the past few days we have been inside, working on both our plans for the house and our business plan. We have been burning a lot of firewood - and one or two other things besides. Susan asked me what it was she could smell burning. I had no idea - I could smell something nasty burning too - but I couldn't see any embers on the carpet (usual suspect). 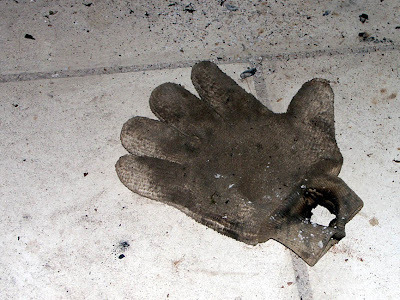 It wasnt until I went to put on my fireproof glove that the mystery was solved. The food is simple, generous and traditional, and exceptionally good value for Paris (the lunchtime three course menu is €13, dinner is €19.50). There is almost always a group of spotty apprentices who've put on ties for the occasion, as they will be dining under the eye of any number of weather beaten middle aged carpenters and their wives. The last time we ate there, in late January, it was the day before the organisation's portes ouvertes (open house), and there was an exhibition of photographs showing carpenters and masons at work, and best of all, a selection of the astonishing chefs d'oeuvres (masterpieces) that journeymen carpenters make to qualify as a master craftsman. We've written about these pieces before, because there is a museum in Tours dedicated to all the Compagnons de la Tour de France, and many of the objects are very visibly stored in ground floor rooms offsite. They are artefacts of immense skill and beauty, and often wonderfully fantastical. A couple of weeks ago a friend told me he had been walking along the river bank in Preuilly and he had seen a dead animal about the size of a cat floating in the river. He thought it might have been a beaver and suggested I go down and have a look. I went down a few days later, not really expecting to see anything after that time had elapsed, and indeed, the dead creature wasn't there. I thought it was most probably a coypu, as these are very common, and classified as vermin, so it would not be unlikely to see a dead one, perhaps poisoned. 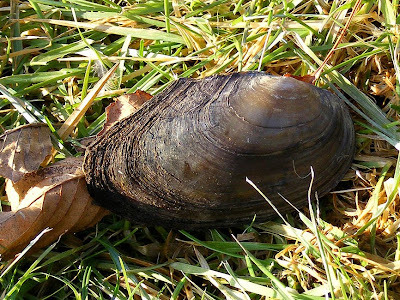 A Unionidae freshwater mussel shell. This one is 13cm across, but they can grow to twice that size. 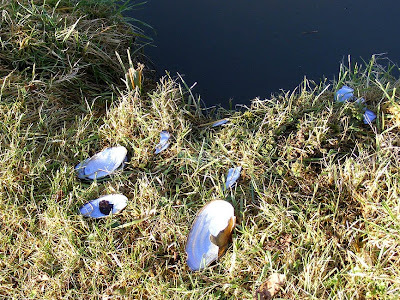 However, I was intrigued to see a dozen or so fresh water mussel shells up on the bank. Maybe the deceased hadn't been a coypu after all. Coypu are strictly vegetarian, but their smaller cousin the Musk Rat, also a common, introduced, nuisance species, are particularly partial to a nice juicy moule d'eau douce. Otters will eat them too. Does Preuilly have otters? It almost certainly has Musk Rats and it's possible that there are otters in the Claise, but they will be much rarer. 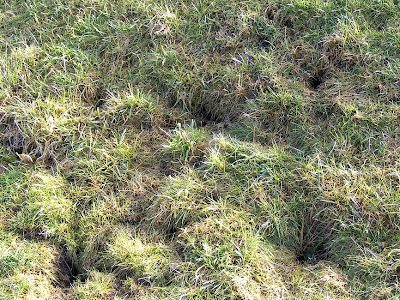 Close to the mussel shells was a group of vole holes in the grassy bank. I don't know what species. Not Water Voles - I caught a glimpse of a little face peeking out of it's hole, and it was not big enough for a Water Vole. Probably a Common Vole. Anyway, it wasn't voles eating the mussels, as they are vegetarian too. Freshwater mussel shells scattered about on the riverbank. It wasn't beavers either. Signs of beaver activity on the Claise at le Grand Pressigny was reported recently in the newspaper, but once again - they're vegetarian. It's worth keeping an eye out for any of these aquatic mammals, especially early in the morning or in the evening at dusk. Some species can be quite hard to tell apart until you've had some practice, but even the nuisibles are fun to watch. Northern Water Vole Arvicola terrestris (Campagnol terrestre in French): The biggest common vole species in France, a rodent that lives on the banks of slow flowing rivers rich in vegetation. Ratty from the Wind in the Willows is this species. About 20cm long excluding tail, which is about half the length of the body and thin. Musk Rat Ondatra zibethicus (Rat musqué in French): Native to North America, they were introduced to Europe by the fur industry. 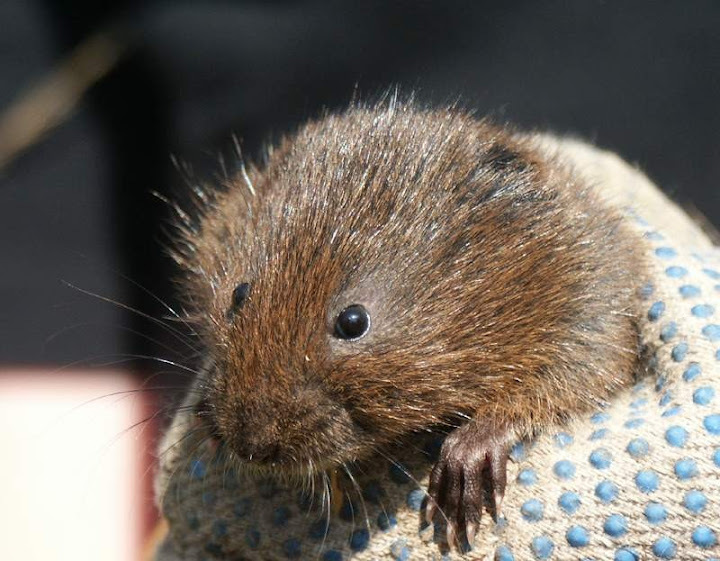 This rodent lives along slow flowing watercourses, richly vegetated étangs (fishing lakes) and marshes. About 30cm long excluding tail, which is nearly as long as the body and keeled (thicker from top to bottom than from side to side). A large Musk Rat and a small Coypu can be very difficult to tell apart. 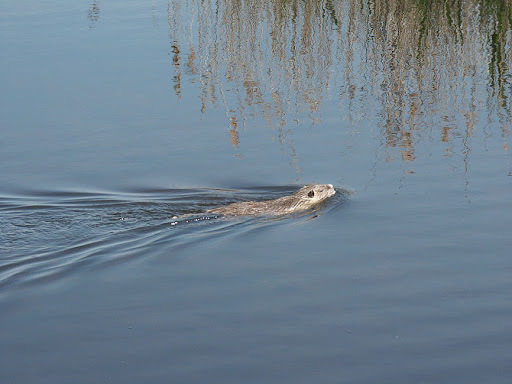 A Coypu swims across an étang in the Brenne. Coypu Myocastor coypus (Ragondin in French): A large rodent native to South America which was introduced to Europe by the fur industry. 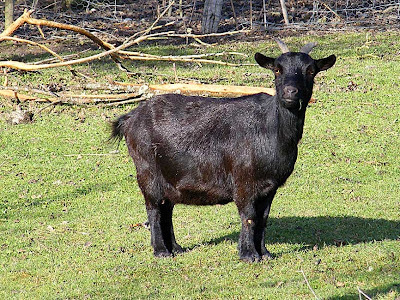 A herbivore, it has few predators in France and can be a problem in crops as well as causing damage to river banks with its burrowing. About 35-65cm long excluding tail, which is about two thirds the body length and cylindrical. Coypus have white whiskers and a grizzled muzzle. The muzzle colour and tail shape distinguish coypus from Musk Rats and Beavers. European Otter Lutra lutra (Loutre d'Europe in French): The otter very nearly became extinct in France, a victim of hunting and pollution in rivers and wetlands. 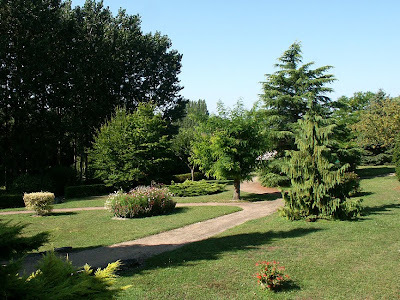 In the last 15 years its numbers have increased, but it will never occupy all the territory it once did, and sadly, the Touraine is not one of its modern strongholds. About 60-90cm excluding tail, which is about half as long as the body. European Beaver Castor fiber (Castor d'Erasie in French): This species very nearly became extinct in France in the 20th century, due to hunting for the fur trade and the destruction of its wetland habitats. A successful reintroduction programme has meant it is now well established in the Loire Valley. It is the biggest rodent in Europe. An adult beaver can be 1.4m long including tail and weigh 35kg. The flat tail is the best way of recognising this species. Where they are present they are most easily seen on summer evenings. They are remarkable wood cutters, capable of felling an 8cm diameter tree in 5 minutes. I wrote the other day "Not Célestine". Well - this time it is. 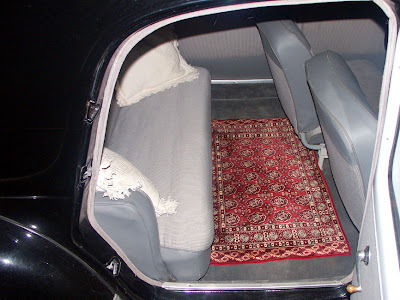 When we were in Chambray we called in to Mondial Moquette (Carpet World) and looked at rugs for Célestine's back seat. They had some really nice woollen rugs, but not at "carpet protector" prices. We ended up buying one at Conforama, which is a good shop for deco items. The rug will be easier to remove and clean than the fitted carpet, which is is important when you live in an area that doesn't always run to pavement. It's turned cold again, with snow. This has severely reduced the amount of work I am willing to do outside, and of course once one is inside the allure of sitting by the poêle outweighs doing stuff in an unheated room. it with a summer photo. This morning I ask again! Thus I have been sitting by a nice fire, redoing our plumbing plan. Everything has changed since we last did a plan (the devis we got for that one caused a long period of sitting down and struggling for breath) so the plombier called in yesterday morning, looked at what we are thinking about, made some intelligent (and money saving) suggestions, and went off to draw up his estimate. 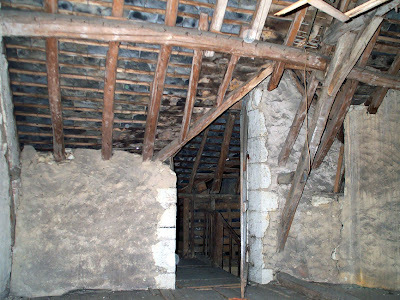 I have also started thinking about what I need to do to amenage the grenier. Winter could end up being an expensive time if I keep getting all this thinking time! It is well known that to find somewhere reasonably priced to eat you have to chose somewhere the locals frequent. 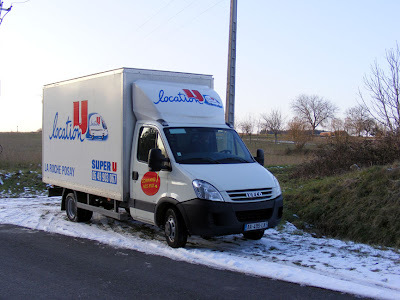 One of the easiest ways of doing this in France is to look for the white vans. Anyone who has had building work done in France may find this difficult to believe, but all French builders aren't millionaires. Masons, carpenters, electricians and plumbers don't carry a packed lunch with them here. They all drive off for a proper lunch at a restaurant around midday, and all have to have somewhere cheap to eat. Luckily for the value hunter, most builders drive white vans with the business names on the sides; therefore all you have to do is look for a concentration of white vans at 12.30 and you have found your lunch. Don't be put off by the appearance of the restaurant. These places are all about good food at good prices, not getting a Michelin star for the quality of the decor. 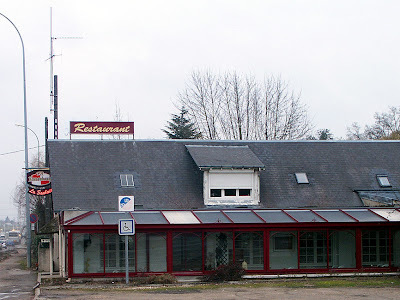 On Monday Susan and I ate at a Routier (the French equivalent of a transport caff, but much more) we have often noticed on our travels. We were amazed at how full the car park was, the reason for which soon became evident: 4 courses for €11.50. A big buffet salad entrée, main course of meat (ham or steack or pork chop) served with chips or seasonal vegetables, cheese (help yourself) and dessert. The plat du jour was petit salé ( which amazingly, neither of us had even though we love it) and the dessert of choice seemed to be either peach Melba or crême caramel, although there were other choices too. 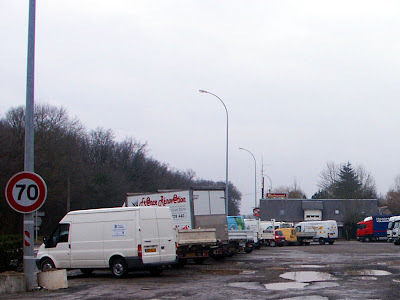 The clientele was a mixture of tradesmen, truck drivers, husbands and wives like us who had been shopping along the 'strip mall' of Chambray-lès-Tours and the occasional family (who had probably also been shopping - it's the school holidays here). I did a quick calculation and reckon their turnover is probably 1 million euros per annum - not bad for an unpretentious restaurant. The car park is visible from space - I have marked it here. 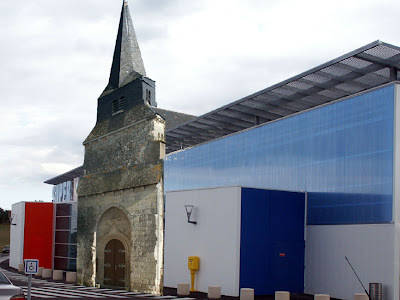 Anyone who has been to Chambray lès Tours looking at bathrooms (or indeed anyone who leaves the A10 in Tours to drive to Preuilly) will have noticed this construction in the middle of the road opposite Conforama. I realised immediately (mainly because of my avid readership of Hornblower books as a boy) that it was a semaphore/telegraph. When we were looking at bathrooms yesterday we happened to do a U turn around the base of the telegraph, and I noticed it had a sign explaining what it was: "Telegraph Cl. Chappe". 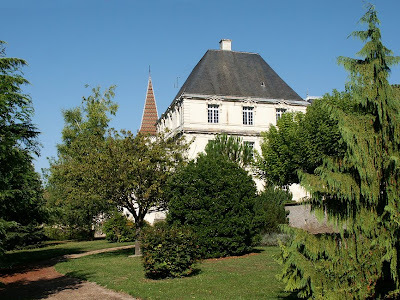 Claude Chappe was born in Sarthe (not a million miles away from Tours, coincidentally) in 1763, and with his brother Ignatius worked on a number of different schemes for transmitting messages long distance. This telegraph shown here was the third such scheme and was invented in 1793. By 1852 the telegraph system covered most of the main cities in France, and was capable of sending a message vast distances in a very short time - Lille to Paris, for instance took 9 minutes under optimum conditions. 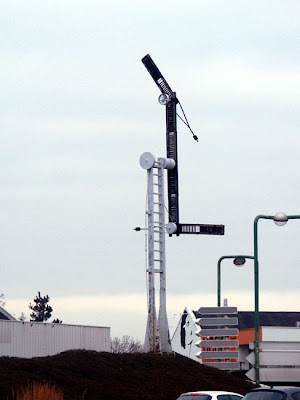 This semaphore seems to be in position 34: there is more about the code here. 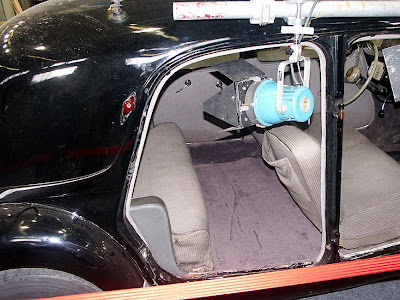 When we were at RetroMobile we noticed this, and took the best photo you could get that shows just how much legroom you get in the back of a Traction Avant. As I am not planning on taking Célestine's doors off anytime soon, you will have to be content with someone else's car. 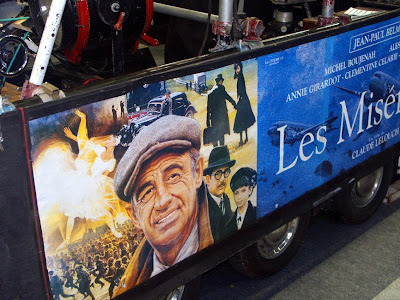 This is the Traction Avant used in "Les Misérables", a 1995 update on the Victor Hugo classic set during World War 2, and starring Michel Boujenah. Today we are off to Chambray les Tours. The part of that fine ville (and it is not a bad place once you get off the main road) we are going to is the stretch along the D910 lined with large hardware, kitchen, bathroom and car shops. On Wednesday we have the plumber coming to give us an estimate for the work we want done, so we will spend today looking for the actual bathroom fittings we will get him to fit. We have changed our plan again, so it means a whole new devis. I am not expecting to actually enjoy the day, but it could be "interesting". Not those brain freezing, sub-zero temperatures we had in early January, but on and off sleet, a bit of a breeze, and the sun coming out almost long enough for a bloke to get his boots on and get outside. As it was, the sun would come out, I would put my boots on, and get outside just in time for the next squall of rainy sleety blowy stuff to arrive. garden of the Hôtel de La Rallière, Preuilly's second chateau. Because it was wet I felt disinclined to finish the task I had set myself: screwing the garage's brick wall to its new frame. The job is half completed, but I now have to put in the ties on the upper section of brick. This means putting up my échafaudage and using the electric destroyer to chase out the mortar between the bricks where the tie rods are going. This has to be done from outside, drilling in. Talking of chasing out mortar, I have learned something last week - bricks don't take to being hammer drilled with an SDS drill - they split. Rather, I have been using the SDS set just to drill for both chasing out the mortar and drilling the holes in the bricks, and it's worked fine. retirement home. These photos are from summer. So instead, I tried to make our new web page (see right) work. It all looks good, but I can't get the contact page to work. After a lot of plumbing talk I decided that the problem lies with the host and not my sketchy programming skills. Therefore, it will have to wait until next week when the hosting service are back at work after the weekend.